What kinds of incidents warrant a personal injury claim? Any incident where a person becomes injured as a result of the negligence of another party. Typical examples include accidents involving vehicles, slips and falls, medical negligence, product liability, and any kind of assault. Many people choose to handle insurance claims themselves. 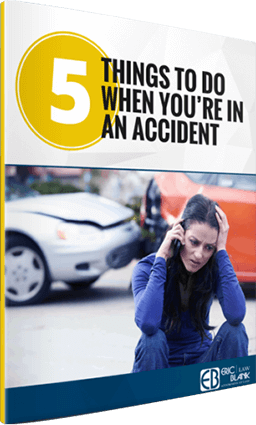 This can be a tremendous task if you are not familiar with auto accidents. An experienced auto accident Attorney will inform you if there are different rules and procedures that are associated with filing an insurance claim in Las Vegas. There are many guidelines that you are supposed to follow after an auto accident – not just with the other insurance company, but also with the state. Some states may require that you submit a record of the auto accident within a certain amount of time. Also, if you sustained personal injuries as a result of the auto accident, your medical history may need to be reviewed. An experienced auto accident Attorney will get your claim noticed by the insurance company. They will save you the hassle of dealing with complicated legal procedures and medical records. Our auto accident Attorneys will work on your claim for you, saving you time and energy. If an experienced auto accident Attorney represents you, the insurance claim can often be settled outside of court without the need to file a lawsuit. If a settlement is reached, then the cost and time of having a trial can be avoided. In addition, when you have an experienced auto accident Attorney help you with your settlement, your overall recovery from the car accident is often greater. Are there any issues that can negatively affect my case? 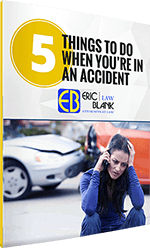 Do not hide past accidents from your attorney. The reality is that the other side may already know if you have been in prior accidents. All insurance companies subscribe to insurance databases and often the only reason they ask you about prior accidents is to test your credibility. Be honest. Do not hide past injuries. If you have seen a doctor in the past, there is a record in existence that the insurance company will find. If you lie about it, your case could be over. Not having accurate tax returns. Most of the time, a claimant will have lost income. You will only be able to claim lost income if your past tax returns are in order. Misrepresenting your injuries. Insurance companies routinely hire private investigators to conduct surveillance. If you claim that you cannot run, climb, or lift, and you get caught on videotape, your claim may be over. It is difficult to dispute evidence caught on video. What is the difference between a criminal and civil lawsuit? In a criminal lawsuit, defendants are accused of violating a criminal law and are brought to trial by the government in order to determine their guilt or innocence in that crime. A criminal lawsuit, in seeking to determine responsibility for a crime, is also concerned with deciding upon the appropriate punishment to be handed down to the individual. Similar to a criminal lawsuit, civil litigation is concerned with establishing responsibility for an alleged offense. However, unlike a criminal lawsuit, the purpose of a civil trial is to determine whether the plaintiff is entitled to compensation and, if so, how much.